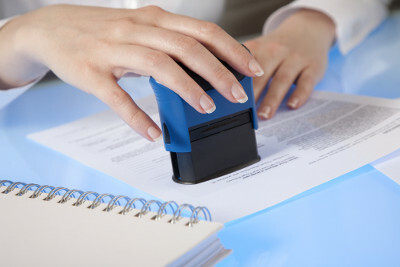 There are many personal as well as professional reasons why you might seek to become a notary public in New York State. You might be the owner of a small business, or you might be required to become a notary for your job at a bank, law firm or government office. Many notary candidates are simply looking for the satisfaction that comes with serving the local community in an official role. To get started, enter your name and email address. You will have 90 days of unlimited access to the online course materials. Here are eight screenshots to illustrate our online learning format. All materials — the seven lessons, glossary and interactive practice exams — can be viewed on your computer screen or printed out for your own individual use. Steven E. Williams, author of the online course, is a Notary Instructor within the SUNY system, member of the American Society of Notaries and experienced Mobile Notary and Notary Signing Agent. Over the past 9 years, he has conducted Notary Public Seminars at Columbia-Greene Community College, Schenectady County Community College (Schenectady & Downtown Albany Campuses), SUNY Adirondack and The Knowledge Network of Albany as well as introductory and refresher courses for private groups upon request. As a witness-only Notary Signing Agent, Steven has processed hundreds of residential mortgage loan document packages on behalf of lenders, title companies and settlement agents since 2007. In addition to being a commissioned notary public in the States of New York and New Jersey, he is a N.Y. State licensed Insurance Broker (Property & Casualty as well as Life, Accident & Health) and formerly licensed Mortgage Loan Originator. His journey into notarial practice began with guidance from longtime instructors Viktor Bujanow and Nicholas A. Tulve. He is also available to provide expert witness testimony, document review services and technical support in all matters relating to notarization.